A post last week on the official university Facebook page has since reached more than 3.5 million people through shares of a photo that is both iconic and, at the same time, very natural in our university’s environment today. An article in Sunday’s Houston Chronicle about the photo and what it represents soon followed. 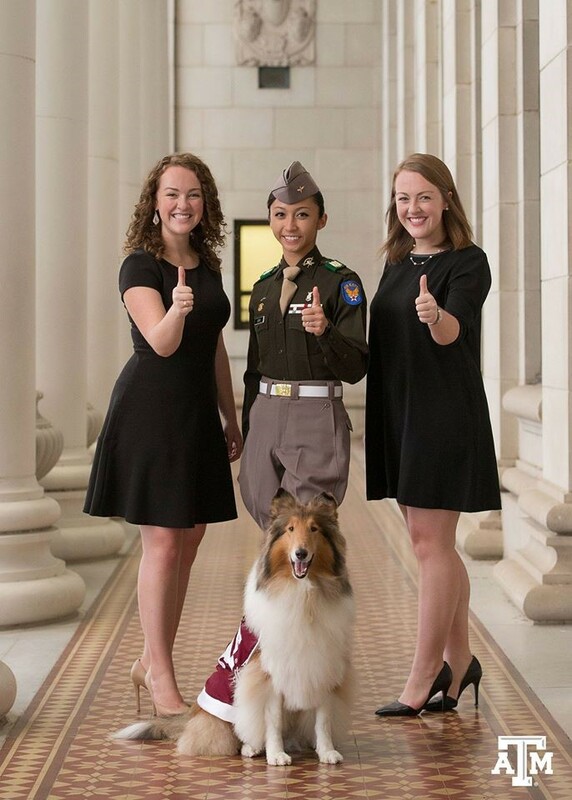 Hannah Wimberly, Student Body President; Cecille Sorio, Commander of the Corps of Cadets; and Claire Wimberly, President of the Senior Class had an official photo taken by Michael Kellett for university archives acknowledging their status in the school’s 140-year history as the first time that three women simultaneously held three top elected leadership positions. Hannah is a human resource and development senior from Friendswood, TX; Cecille is a Meteorology senior and was born in San Antonio, TX and raised in Germany; and Claire is a management senior also from Friendswood, TX. As many of you may know, Hannah and Claire are twins – I know their family must be proud of this dynamic duo! These student leaders represent Texas A&M University in an exciting time. Earlier this year, Texas A&M was named by College Rankings as one of the top Universities for women, another achievement. We are delighted to celebrate and acknowledge these leaders for their exceptional service to our student body and the greater Aggie community.